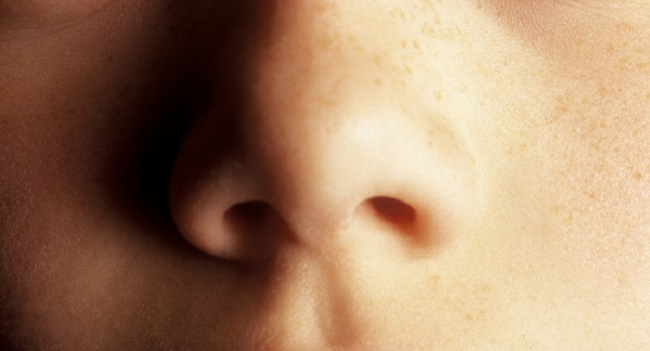 Home » Health » What Is Anosmia? Anosmia is a term that describes the condition of a person's loss of smell. Loss of smell can interfere with daily activities because a person becomes unable to smell. Loss of smell also has an effect on the taste of food. Because inhaling the aroma of food is important in the taste of food, not only the taste of salty, sweet, sour, or bitter on the tongue. When prolonged, loss in the feel of food can make weight decreased, malnutrition, even depression . Most cases of anosmia are temporary, often caused by flu, and will disappear after the flu heals. However, in some cases, anosmia can occur in the long run, even permanently. In the elderly, anosmia usually lasts long enough. Anosmia that occurs over a long period of time may be a symptom of a serious illness, so it needs to be checked further to the doctor. If you suddenly develop anosmia without any obvious cause, consult a physician immediately for the cause to be known and treated. Problems on the inside of the nose due to irritation or mucus buildup. Examples such as sinusitis, colds, flu, and rhinitis . Blockage or obstruction in the nasal cavity. For example due to nose bone abnormalities, tumors, and nasal polyps . Inhaling or ingesting toxic substances. Keep in mind that among the various diseases that can cause anosmia, anosmia arising from neurological disorders should be of particular concern. In addition, an anosmia that appears suddenly without any known cause should be checked immediately to the doctor. Diagnosis of the cause of anosmia is very important to do in order to know the cause, so the treatment that will be given can be effective. The first step of the diagnosis to be performed by the doctor is to evaluate the medical history and physical examination of the patient. In addition to asking history of the disease, the doctor will also ask a history of injury to the head whenever there. Physical examination by the doctor will focus on the nose to detect any swelling, inflammation, pus, or polyp. Physical examination is also done to check whether there is a barrier to the nose that causes anosmia. In addition, doctors can also check the brain's nerves and mental condition to know the patient's brain condition. MRI , to detect any disorders or diseases associated with the brain, especially in undetected patients experiencing nose and sinus problems. CT scan, to detect any sinus disturbance, tumor, or fracture of the nasal bone. CT scan performed is recommended using a contrast dye to provide more accurate results. Treatment depends on the cause of the anosmia. If the anosmia-causing disease can be cured, then anosmia can also be cured. An example is anosmia due to nasal and sinus infections by bacteria, can be cured with antibiotics. Conversely, if anosmia is caused by birth defects, such as Klinefelter's syndrome , then the condition can not be cured. Surgical removal of nasal polyps. If not removed, polyps may interfere with the sense of smell. Provision of antihistamines to relieve anosmia caused by allergies. However, anosmia caused by allergies will often heal by itself. Surgical endoscopic sinus or ESS to clear the sinuses from inflammation. Giving antibiotics to treat infections. Install a smoke alarm at home to alert when there is a burning and potentially fire object. Mark food expiration dates clearly, as often expired foods are marked with a bad odor. Replace stoves or water heaters, from which gas-fired becomes electrically, to prevent gas leaks that are not felt. Can also install gas leak alarm. 0 Response to "What Is Anosmia?"